The Zen bridges the gap between maximum all-day comfort and technical performance. Suede leather upper. Dual-density EVA cushioning provides comfort for all-day adventures. Reinforced arch. Rubber toe rand for added protection. Vellutina lining. P-Flex plate. Built on a BH last. Molded Vibram Spyder sole is designed for approach versatility. Measurements: Weight: 1 lb 2 oz Product measurements were taken using size 44 (US Men~s 10.5), width D - Medium. Please note that measurements may vary by size. Weight of footwear is based on single item, not the pair. 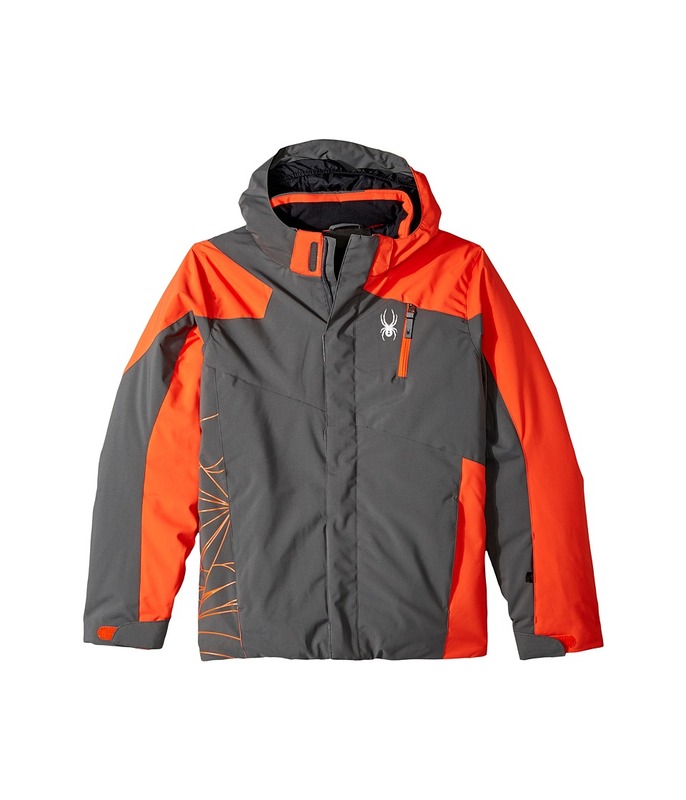 Perfect for school or the slopes. ThermaWeb&amp#8482 Insulation, taped seams, powder skirt, and a removable hood. Exclusive XT coating and Spylon&amp#8482 water repellent finish to keep dry. 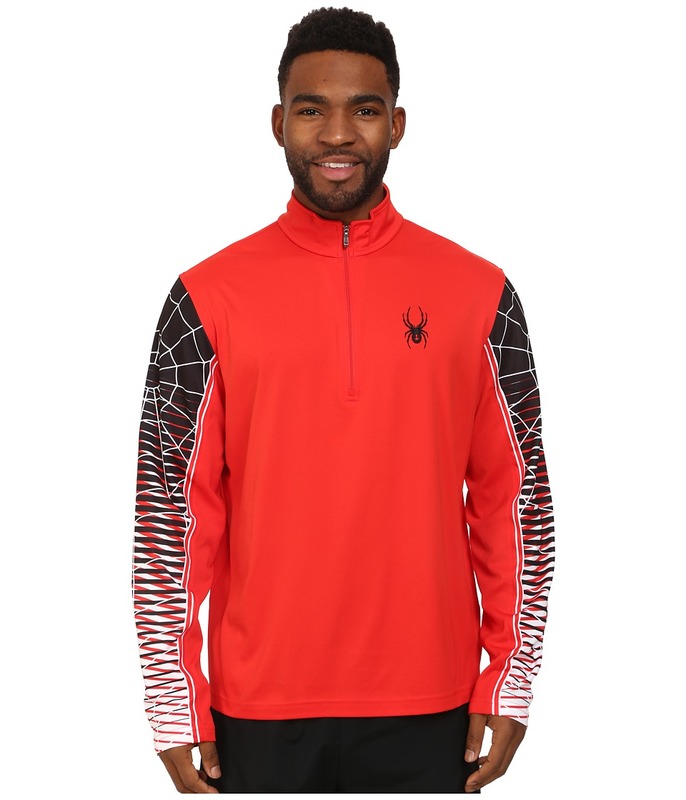 Large web embroidery on the back. Data card pocket. Custom Spyder&amp#8482 logos, hardware, and zipper pulls. Zipper front with hook and loop flap. Zip up pockets. 100 percent nylon. Machine wash cold and tumble dry low. Measurements: Length: 20 in Product measurements were taken using size 8 Big Kids. Please note that measurements may vary by size. Take these shoes anywhere from the mountain trails to the city streets. 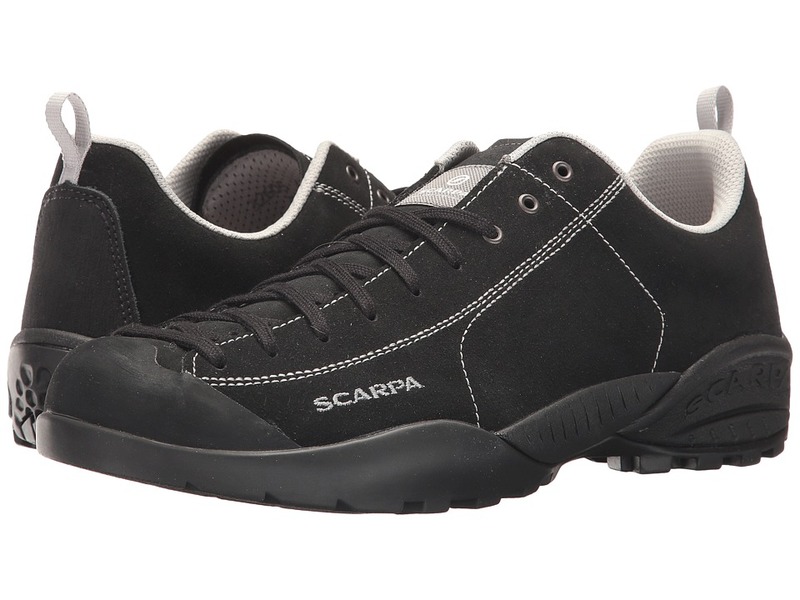 The Mojito by Scarpa will make sure you are comfortable everywhere you go. Suede leather upper. Lacing to the toe for a great secure fit. Protective rubber toe cap guards your toes against abrasions. Smooth Vellutina lining. Reinforced arch provides superior support for all-day comfort. Dual-density EVA cushioning for superb comfort and support. Molded Vibram Spyder sole is designed for approach versatility. Measurements: Weight: 15 oz Product measurements were taken using size 45 (US Men~s 11.5), width D - Medium. Please note that measurements may vary by size. Weight of footwear is based on a single item, not a pair. 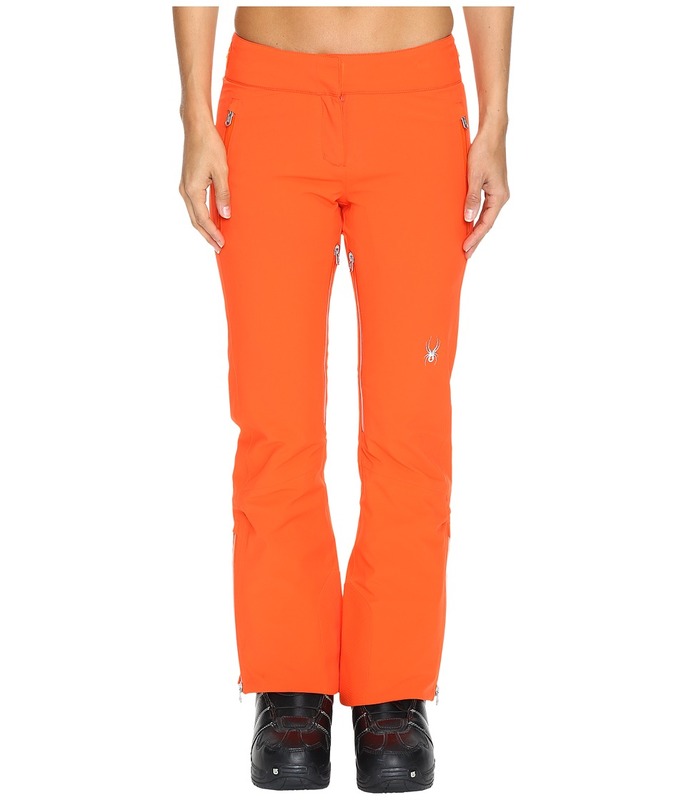 Travel to the highest mountain peaks in style with the Traveler Tailored Fit Pants! Tailored fit with a stretch fabrication that moves with you. 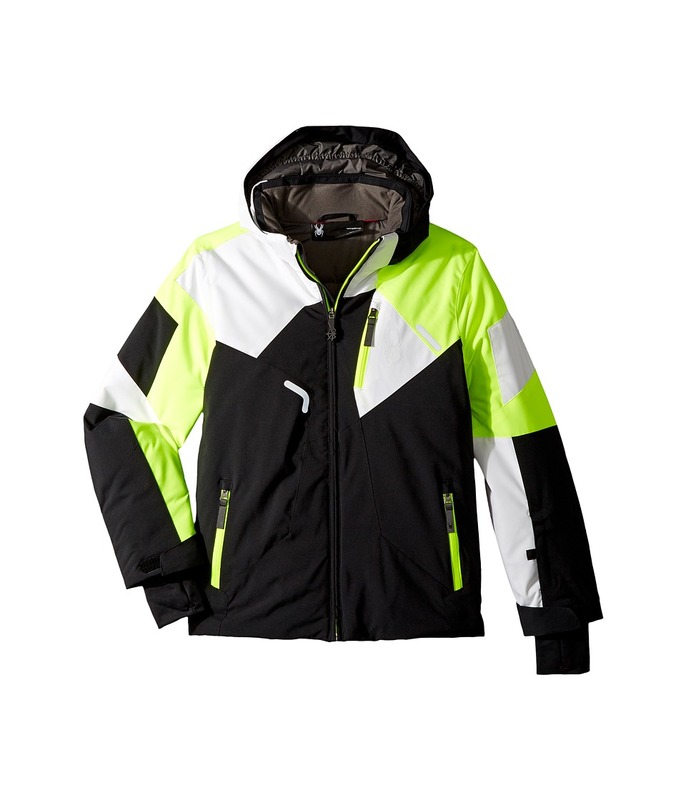 Xt.L shell: &amp#8226Softshell utilizes an ultrathin membrane for 20k/20k waterproof/breathable rated protection. &amp#8226Spylon+ DWR (durable water repellent) membrane improves water-resistant protection. &amp#8226Fully taped seams. &amp#8226360&amp#176 stretch nylon, PrimaLoft insulation forms a tight collection of air pockets to trap heat from your body and keep you warm. It can maintain this insulative property even when wet. Strategically taped seams keep water out of key areas. Zip fly with hook-and-loop, snap-button closure. Hook-and-loop adjusters at waist. Waterproof zip-hand pockets. Zip openings at inner thigh provide ventilation and cooling. Inner snow gaiters with gripper elastic and cuff anchors. Full-length cuffs with side zips. Shell: 100 percent nylon Lining: 100 percent nylon Insulation: 100 percent polyester. Machine wash, hang dry in shade. Imported. Measurements: Waist Measurement: 25 in Outseam: 37 in Inseam: 29 in Front Rise: 9 in Back Rise: 15 in Leg Opening: 20 in Product measurements were taken using size 2, inseam S. Please note that measurements may vary by size. 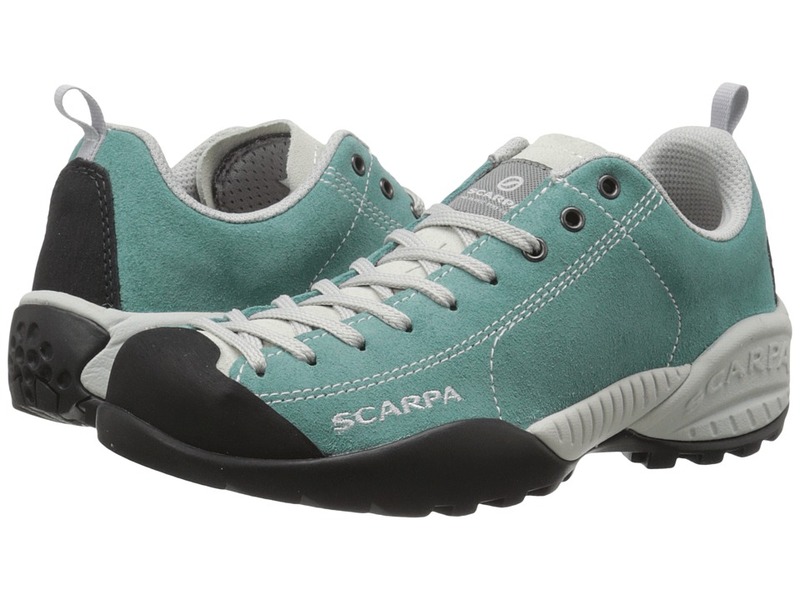 Blending a little street-sneak style with technical climbing performance, the Scarpa Mojito approach shoe makes for a delightful outdoor mixer! Suede leather upper contours to the foot over time for superior comfort. Ankle-to-toe lacing allows for a snug, secure fit. Protective rubber toe rand. Lightly padded tongue and collar for added comfort. Soft fabric lining supplies a great next-to-foot feel. Molded foam insole offers light underfoot cushioning. Dual-density EVA midsole provides plush underfoot cushioning. Vibram Spyder outsole delivers exceptional grip and lasting wear. Imported. Measurements: Weight: 11 oz Product measurements were taken using size 36 (US Women~s 5), width B - Medium. Please note that measurements may vary by size. Weight of footwear is based on a single item, not a pair. T-neck layer that keeps you warm while eliminating bulk. Custom sublimated print. Printed gusset. Front half zipper. 100 percent DRY W.E.B.&amp#8482 bi-component polyester pique. Machine wash cold, tumble dry low. Imported. Measurements: Length: 27 in Product measurements were taken using size MD. Please note that measurements may vary by size. 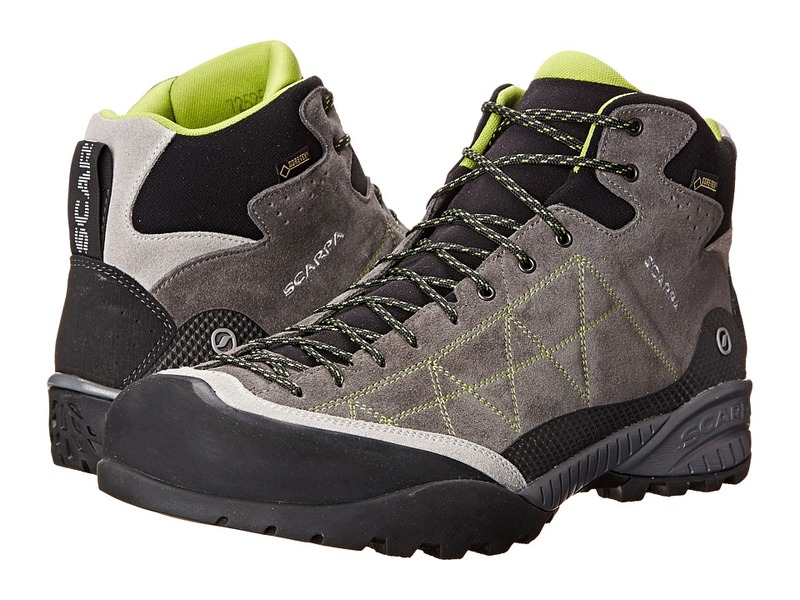 Hike and climb where you want in total ease and control with the supportive comfort, reliable protection, and grippy outsole of the Scarpa Zen Pro Mid GTX. Suede upper with injected TPU reinforcements on the side for durability. 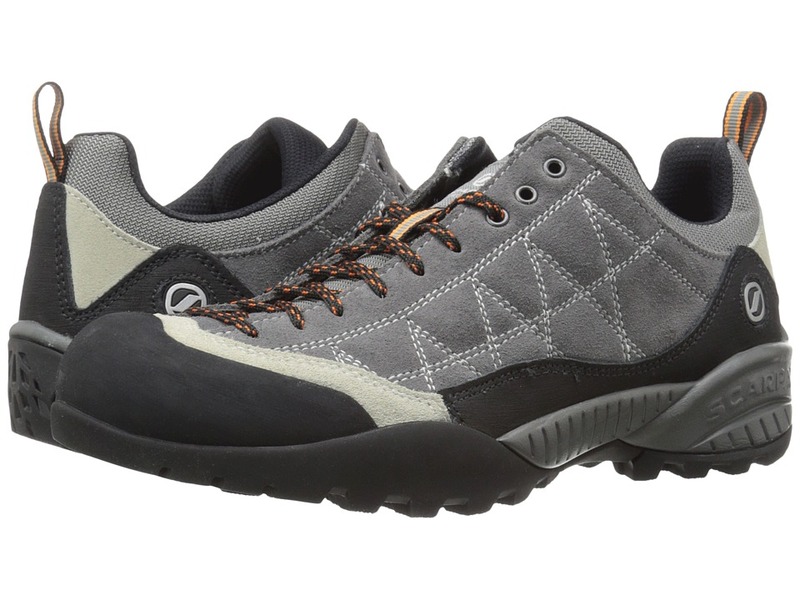 GORE-TEX Extended Comfort liner keeps out the wet elements while offering comfortable breathability for year-round use. Traditional lace-up design for a secure fit. Heel pull loop. Higher profile boot design protects the ankle from abrasions and scrapes. Sock-Fit XT technology offers a comfortable fit and added sensitivity. Cushioned P-Flex insole provides excellent flexibility and underfoot support. Protective rubber toe and heel randing. Injected EVA cushioned midsole provides supportive comfort for all-day adventures. Vibram Spyder II sticky rubber outsole provides excellent grip on various terrain. Built on the BN last. Imported. Measurements: Weight: 1 lb 3 oz Shaft: 4 1 2 in Product measurements were taken using size 41 (US Women~s 9), width B - Medium. Please note that measurements may vary by size. Weight of footwear is based on a single item, not a pair. 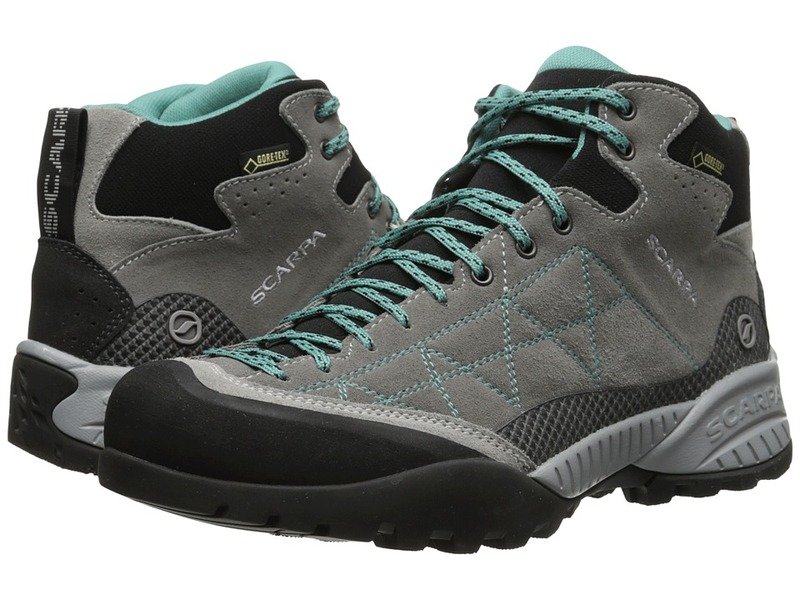 The supportive comfort, reliable protection, and grippy outsole of the Scarpa Zen Pro Mid GTX lets you hike and climb with total ease. Suede upper with injected TPU reinforcements on the side for durability. GORE-TEX Extended Comfort liner keeps out the wet elements while offering comfortable breathability for year-round use. Traditional lace-up design for a secure fit. Heel pull loop. Higher profile boot design protects the ankle from abrasions and scrapes. Sock-Fit XT technology offers a comfortable fit and added sensitivity. Cushioned P-Flex insole provides excellent flexibility and underfoot support. Protective rubber toe and heel randing. Injected EVA cushioned midsole provides supportive comfort for all-day adventures. Vibram Spyder II sticky rubber outsole provides excellent grip on various terrain. Built on the BN last. Imported. Measurements: Heel Height: 1 3 4 in Weight: 1 lb 7 oz Shaft: 5 in Platform Height: 1 2 in Product measurements were taken using size 46 (US Men~s 12), width D - Medium. Please note that measurements may vary by size. Weight of footwear is based on a single item, not a pair.